Recently Google announced a new development for Webmaster Tools: Linking Analytics to Webmaster Tools. 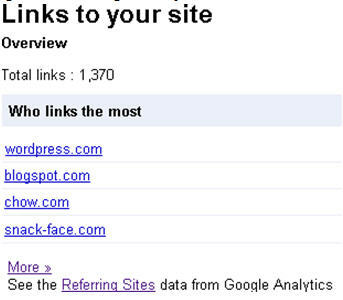 With this new feature, you can link your website’s Google Webmaster Tools with your Google Analytics account. This is seems like a great idea. After all, Analytics is instrumental in assessing a website’s performance and in measuring SEO. Webmaster Tools continues to grow into as a critical tool for diagnosing SEO. So useful is Webmaster Tools for SEO that even Google produced a video and blog post about how to use Webmaster Tools like an SEO! After playing with this new “feature,” one thing is clear: this is a positive step in the right direction for Google. Linking accounts will definitely make managing a website – and SEO – much more efficient. First, this integration links the Analytics account with the Webmaster Tools account. Right now, there are no additional new features or new analytical tools. Since this is just an initial rollout of this integration, we expect Google will continually rollout new features as time goes on, just like they continually do with Webmaster Tools. But, while we wait for Google to rollout new features to this integration, why not make a list of features we would like to see? Display Historical Webmaster Tools “Top Queries” data – The Top Queries data in Webmaster Tools shows impressions and average positions. This data is incredibly useful because it goes beyond “rankings”. Search “rankings” with personalized search, universal search, and local results, is, for all intents and purposes, obsolete. 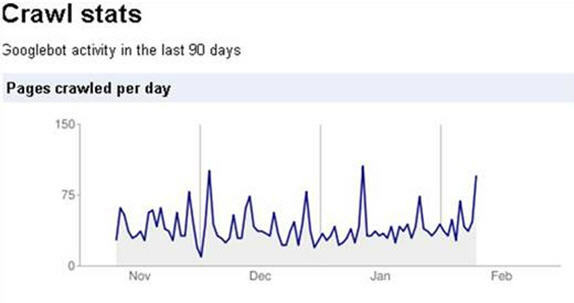 But right now, Webmaster Tools only shows data for about 1 month. To have this data archived along with Analytics data would be absolute pure gold. 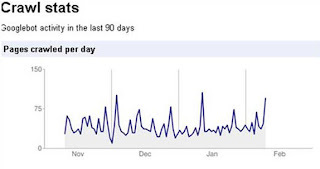 Compare Crawl Stats with Visitor Traffic – The Crawl Stats data show how well Googlebot crawls the website based on pages crawled per day, download time, etc. Page load speed is confirmed as factor in search rankings. Visitor traffic can also be affected by page load speed. To be able to quickly compare overall visitor traffic with the Crawl Stats would paint a valuable picture of the overall performance of the website. Compare Site Performance with Visitor Traffic – Another good high level comparison feature is compare the “Site Performance” data, under “Labs” in Webmaster Tools, with overall visitors. Just like above, it will give an overall sense of how site performance affects site traffic. Compare Crawl Errors with Visitor Traffic (and Average Positions) – The Crawl Errors data display website errors that Googlebot encountered while crawling the website. The errors include 404-not found, 403-errors, etc. Generally, any site error is a concern. But knowing visitor traffic to those specific error pages can help illustrate how much traffic is lost and how important it is to be sure site errors are fixed as soon as possible. Along with knowing the “lost visitors” due to pages with site errors, how about the lost visibility from the “Average Position” of the pages with errors? When sites go through content and URL changes, no thought is given to natural rankings that the old pages being replaced may have. Having the average position of the replaced/obsolete pages help further illustrate the importance of fixing site/page errors as soon as possible. 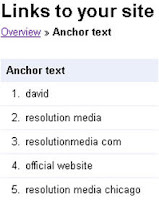 Quantify & Detail Anchor Text Count – The Anchor Text data in the “Links to your site” section shows the variety of anchor text that links to your site. 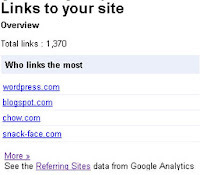 It is valuable information to assess how optimized your link-building is. But the current data does not show the quantity of sites that link in using a particular anchor text phrase. For SEO, this kind of detail would be tremendously valuable. Hope that some of these items in the list are already in development at Google. Until then, wait eagerly for new announcements.